Hummus is one of my favourite veggie foods, I love it with absolutely everything so I’m sharing one of my recipes with you today to help get you started on veggie week. You could also try Roasted Butternut Squash, Lime & Chilli Soup, Sweet potato and tricolour quinoa burgers, Sweetcorn & chilli muffins, and Lime, Coriander & Chilli Hummus. 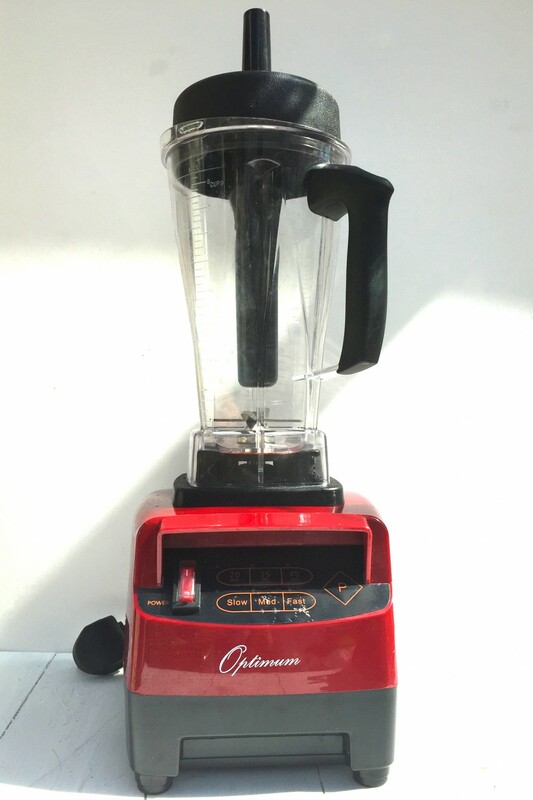 To celebrate National Vegetarian Week, Froothie UK have very kindly provided me with an Optimum 9200 Next Generation blender to giveaway to one of you lucky people!! I have had my blender for a couple of months now and I absolutely LOVE it, theres nothing it can’t do! I have made smoothies, ice cream, hummus and even nut butters in it. You can read my review of it here. The Optimum 9200 retails for £429 but will be on sale for £349 during National Vegetarian Week. Visit Froothie’s website for details. For your chance to enter follow THIS LINK – A Rafflecopter giveaway. You must also comment on this post with your favourite vegetarian meal and why. It’s UK-only though so very sorry to those outside the UK, and it closes at midnight on the 20th June. If the winner doesn’t respond to the email within 5 days, another winner will be picked. The prize will be delivered to the winner as soon as possible by Froothie directly. Increase your chances of winning by entering the Optimum 9200 giveaway on Facebook – simply like and share this post to enter! Mushroom rissotto, I just love mushrooms and its do quick and easy to make. Veggie chilli. Packed full of taste, protein and spice! i love my homemade veggie burgers in a bun with beetroot and cheesy goodness! We like baked bean lasagne – a cheap and easy meal that is easily as good as any version with meat! Vegatarian Lasgne,I was introduced to this by my son and I was really surprised how nice it was. I am trying lots more vegatarian food now.